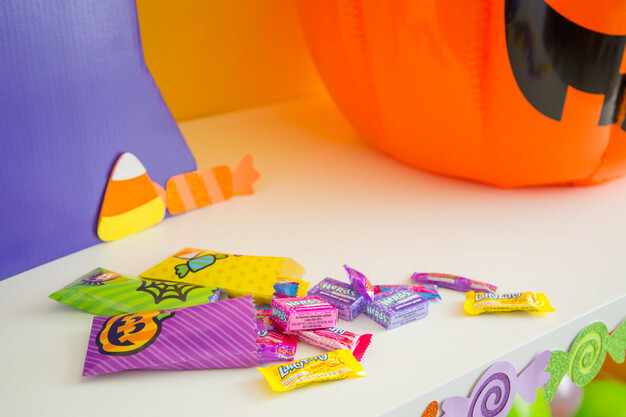 Who has all their decorations up, costumes, and Halloween plans ready to go?! Not this girl right here! 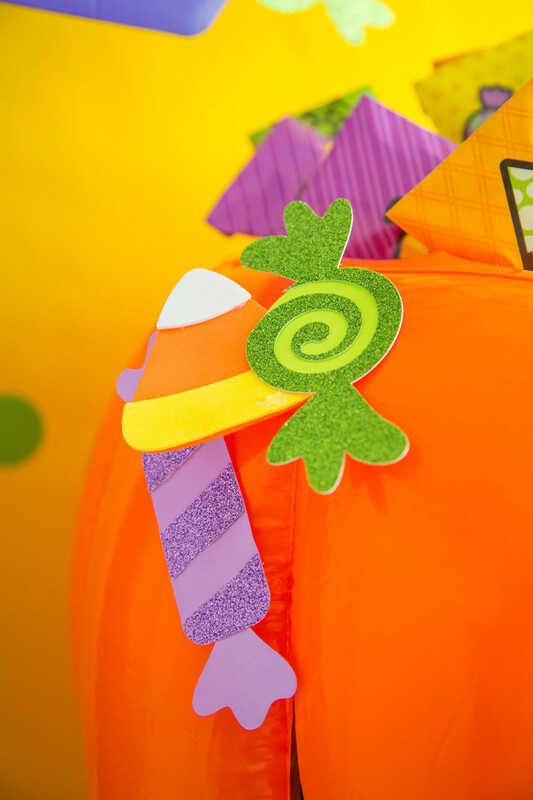 I'm a little delayed this year on putting up decor and getting ready for Trick-or-Treat night! However, I have my Trick-or-Treat station ready to go with supplies from Oriental Trading. 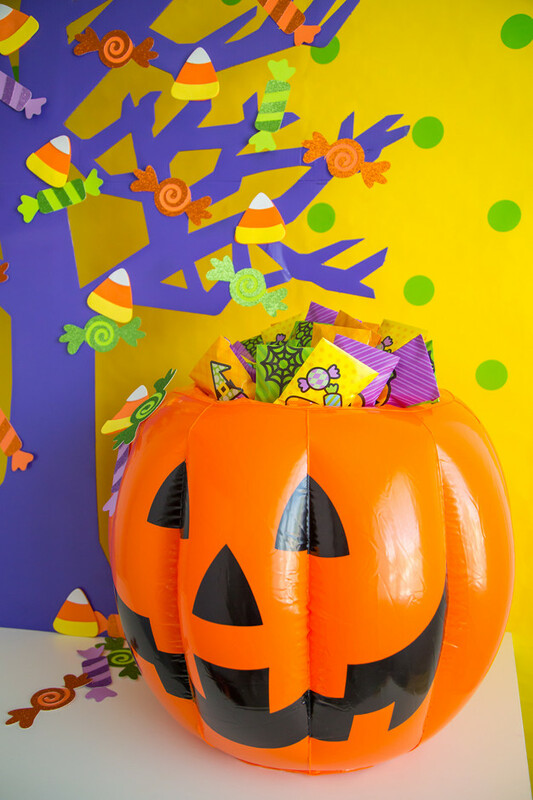 Whether it's Trunk-or-Treat or a sidewalk setup, this is the perfect and easy setup and the kids will LOVE IT! 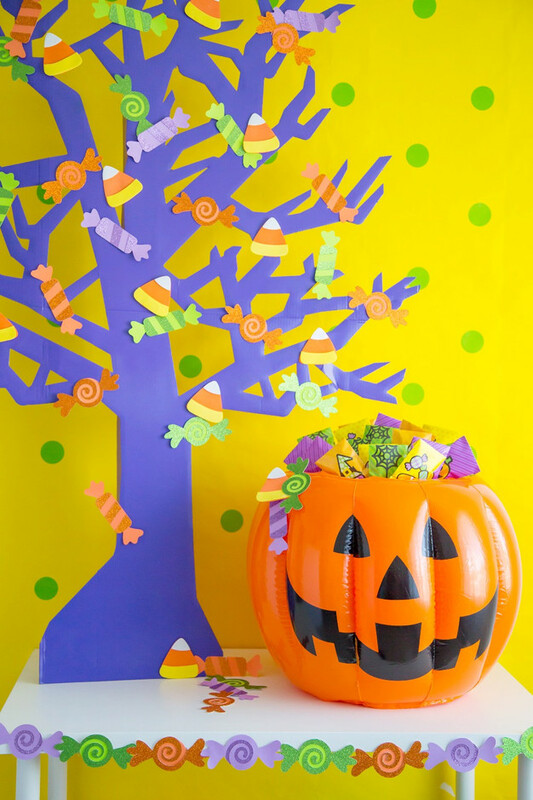 I spray painted the black tree cut out in purple and cut out candies with my Cricut. I used them to fill the purple tree and to make a banner for the front of the table. 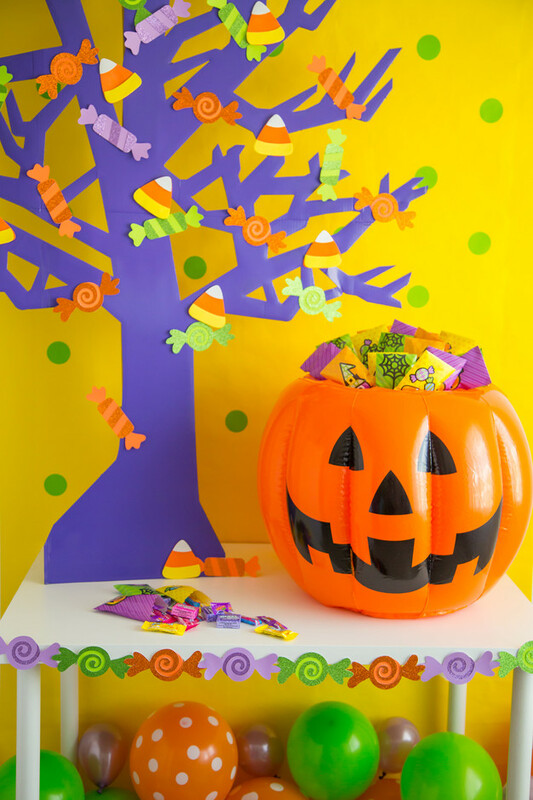 Using the candy corn craft kit from Oriental Trading, I added foam candy corns to the tree to liven it up. 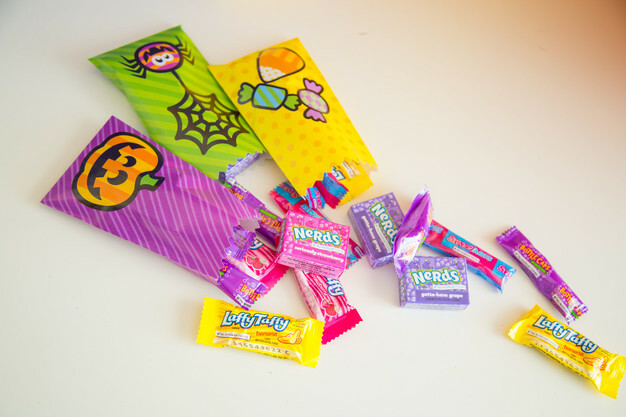 Then I packed my treat bags with candies, and filled up the inflatable cooler. 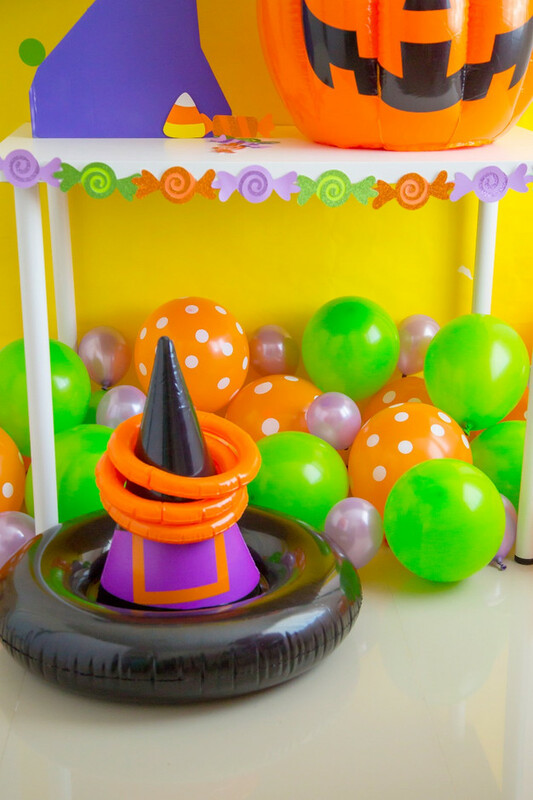 I placed everything on a white table so the colors would pop against it and threw some balloons in fun colors under it for more color! 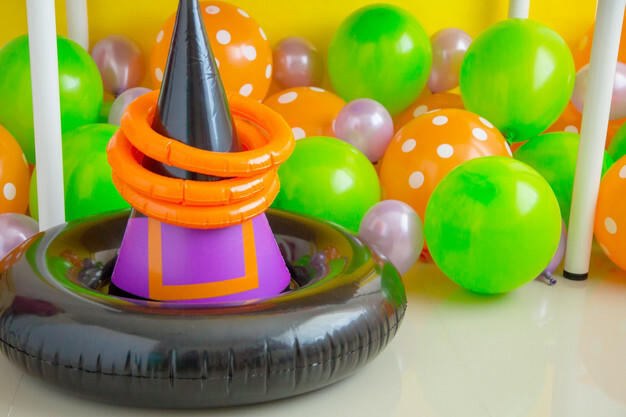 To add some fun for the kids while they come up to the station, I added the Witch hat ring toss game to the bottom of the table. Dress Up a Mermaid Party!